2. A man named Robert Charles Gleason Jr. killed two of his prison mates and vowed to continue killing if he was not given the death penalty. He chose the electric chair and was executed in 2013. His last words were “kiss my a*s”. 4. Following Marilyn Monroe's death, American baseball player Joe DiMaggio was so devastated he held a private funeral barring all the Hollywood elite, delivered roses to her grave three times a week for over 20 years, never remarried, and his last words were "I'll finally get to see Marilyn." 5. A Homosexual Dutch anti-Nazi fighter named Willem Arondeus, bombed the Amsterdam Public Records Office to hinder the Nazi identification of Jews. He was arrested and executed. His last words were, "Let it be known that homosexuals are not cowards." 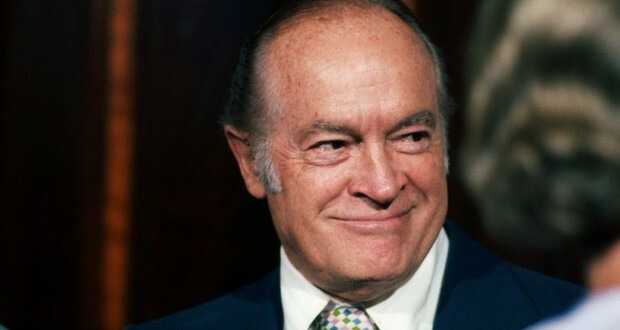 "Surprise me" were the last words of the 100-year-old, legendary comedian Bob Hope, responding to his wife's question regarding where he would like to be buried. 8. Douglas Albert Munro is the only US Coast Guard to receive the Medal of Honor. Whilst providing cover for ground troops with his boat, Munro was fatally wounded. The last words he said were, “did they get off?” referring to the soldiers he'd saved. He was just 22 years old. 10. Leonardo Da Vinci's last words were: "I have offended God and Mankind, by doing so little with my life." British writer Norman Douglas' last words were "Get those f*cking nuns away from me." 12. In 1954, famous rhythm-and-blues singer Johnny Ace died after jokingly pointing a gun toward himself and accidentally shooting himself with it. His last words were "It’s okay! Gun’s not loaded… see?" 13. The last recorded words to come from inside the Challenger Space Shuttle before it exploded were, "Uh oh." 14. American gambler and gunman of the old west Doc Holliday’s last words were “This is funny.” He always figured he would be killed someday with his boots on and was looking at his bootless feet, amused, while a nurse attended to him and denied his request for a shot of whiskey. 15. The last words of Scottish adventurer Alexander Blackwell, “I’m sorry for the mistake but this is the first time I’ve been beheaded” were spoken after he laid his head on the wrong side of the chopping block and was corrected by the executioner. Bob Marley's last words to his son Ziggy were "Money can't buy life." 18. English comedian Graham Chapman's last words were "Sorry for saying f*ck." Norwegian playwright Henrik Ibsen's last words were "Quite the contrary" (Tvertimod) in response to his nurse's assuring a visitor he was doing better. 22. John F. Kennedy's last words to Jackie were, "Take off the glasses, Jackie." 23. Antarctic explorer Lawrence Oates sacrificed his life for his crew by walking to his death in −40 °F. His last words were "I am just going outside and may be some time." 24. A French statesman named Charles de Gaulle's last words were “I feel pain here”, pointing at his neck seconds before he unexpectedly died from an aneurysm. 25. The last words of President James K. Polk, to his wife, were: "I love you, Sarah. For all eternity, I love you."